But you are always going to be as strong as your weakest link. Ambode is less read than Babatunde Fashola. In the long chain of Tinubu boys, he is one of the least sophisticated. It is therefore no surprise that he is the one threatening to undo an architecture of slavery, exploitation, and personalisation of the state that has been twenty years in the making. For instance, Okorocha openly parcels out Imo State’s finances to himself, sister, daughter, son-in-law, and intends to emulate Bukola Saraki by carrying the State’s treasury to Abuja to continue in the Senate, while a quisling superintends over the State for him. Imo State’s finances do not need to be as opaque as what we have in Lagos because Okorocha is crude and unrefined and does not need the pretext of cosmopolitan, progressive sophistication like Tinubu and his boys in Lagos. All over Nigeria, wherever the leaders are free to be brutes in the state of nature, the finances are usually more accessible. James Ibori and his boys in Delta are like Bukola Saraki and his boys in Kwara or Okorocha and his boys in Imo. Ibori, Uduaghan, Okowa – diseducated brutes who have no burden of civilisation. They need no opacity in the finances of Delta. They are free. Kogi under the late Abubakar Audu was a crude personal slavery plantation and there was no need for opaque finances in Lokoja either. For all his unprecedented worwority, Governor Yahaya Bello will not be able to extend the cruel fate of Kogi as one man’s and one family’s personal slave plantation like Lagos, Imo, Delta, and Kwara. The dynamics of Kogi do not conduce to a family who is not from the majority ethnic nationality in the State owning and operating her as a personal slave plantation. So Kogi will continue to be a crude property of transient adventurers with no need for opaque finances. The fact that Lagos since 1999 has been run by well-read cosmopolitan minds with ostensible left-leaning and populist sensibilities – Tinubu, Fashola, Ambode – is instructive and should sensitise us to a grave danger. Lagos has remained a fundamental puzzle for those who have applied themselves to study her – how can Nigeria’s most sophisticated State be one man’s personal slave plantation since 1999? A cosmopolitan mind set on the course of crude exploitation and personalisation of the resources of the state has enough cerebral matter to understand the power of identity myths and narratives. This explains why these sophisticated minds have constructed mythologies of the self for the Lagosian. Those who are puzzled by the tragic irony of Lagos miss the fact that nothing is more dangerous than the sophisticated, cosmopolitan mind that has decided to work against the common good by personalising the Commonwealth. A mind that is set on this course – as has been the case in Lagos since 1999 – has enough intellectual fire power to pass off pure wind, puff, and powder as solidity, enough cerebral resources to make unquenchable greed and corruption and brazen personalisation of the resources of the Commonwealth appear to the people as mutually-shared prosperity. A cosmopolitan mind set on the course of crude exploitation and personalisation of the resources of the state has enough cerebral matter to understand the power of identity myths and narratives. This explains why these sophisticated minds have constructed mythologies of the self for the Lagosian. The Lagosian has been screaming “Eko o ni baje,” “Eko baje ti,” and “Gedegbe l’Eko wa,” with more gusto since 1999, than ever before in his history. The louder he has screamed these mythologies of the self, the superior self, the busier Alpha Beta and Tinubu’s numerous other technologies of personalisation of the Commonwealth have been. The mythologies of the self constructed for the Lagosian are, in fact, diversionary mythologies of superiority. So long as the Lagosian is chanting these mythologies of the self, he is distracted and looking down on the “bush man” from Ekiti, Osun, Oyo and other parts of the bush interior of Nigeria – don’t even mention my poor Kogi! – and feeling superior. This superiority blinds him to the tragedy of his life as a citizen of Lagos. He does not know that the bush people of Ekiti are freer than him because they are not as enslaved to one man and one family as he is. Investment in superiorist mythologies and other soporifics applied on the people by well-read cosmopolitans have guaranteed their ability to perfect their strategies of financial opacity in state transactions nearly unchecked for twenty years. 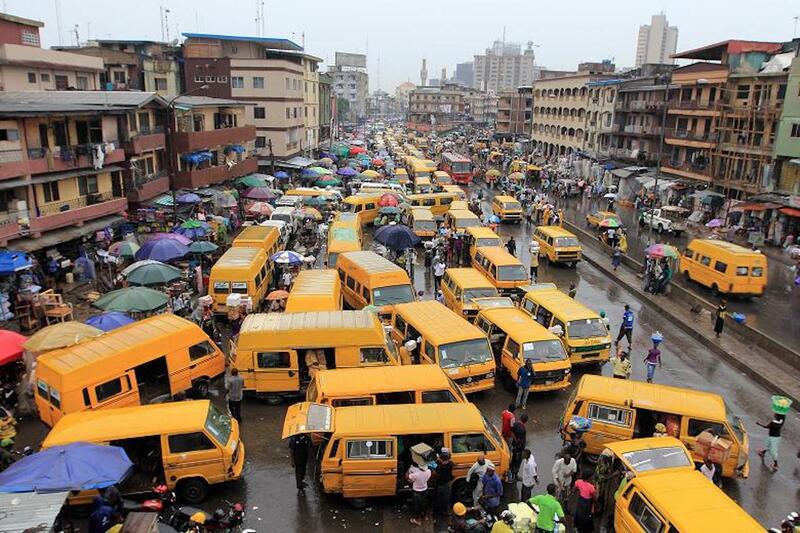 Lagos is Africa’s biggest crime scene. Because of the size of her economy, it is the closest Africa now has to Mobutu Sese Seko’s Zaire in terms of state capture by one person. Only that this person is not crude like Mobutu and has played a sophisticated politics that has glued an entire ethnic nation to his persona as their liberator, hence they are totally hostile to any scrutiny of the man. In terms of the obligation to scrutinise, it must also be noted that Tinubu and his boys have largely co-opted the entire intellectual base of the South-West into their project and narratives. This explains why this sort of state capture could go on for so long without rigorous intellectual challenge in a region which houses the bulk of the social sciences in Nigeria. Part of me thinks that resistance by mainstream Lagos and the Yoruba at large to any serious scrutiny of Tinubu’s personalisation of the finances of Lagos is due to the fact that folks have bought so deep into constructions of his persona as their liberator and hero that they are afraid of what they’ll find. Letting go of identity mythologies has never been easy in the history of human civilisation. In terms of the obligation to scrutinise, it must also be noted that Tinubu and his boys have largely co-opted the entire intellectual base of the South-West into their project and narratives. This explains why this sort of state capture could go on for so long without rigorous intellectual challenge in a region which houses the bulk of the social sciences in Nigeria. No South-West intellectual has seriously interrogated project Tinubu since 1999. With his gra-gra and woolly-headed over-taxation and over-levying, he has finally applied a much-needed shock therapy to Lagosians. Folks are finally starting to wake up. Folks are finally starting to smell the coffee. 2019 is pregnant. For the sake of Lagosians, I hope it gives birth to freedom from slavery.